Join us for a special Ugly Sweater themed brew run and fundraising party with Epic Experience. This flat and fast 5k"ish" course will take you along the beautiful Platte River trail. Wear your most festive, ugliest holiday gear and get ready for some magical winter fun! 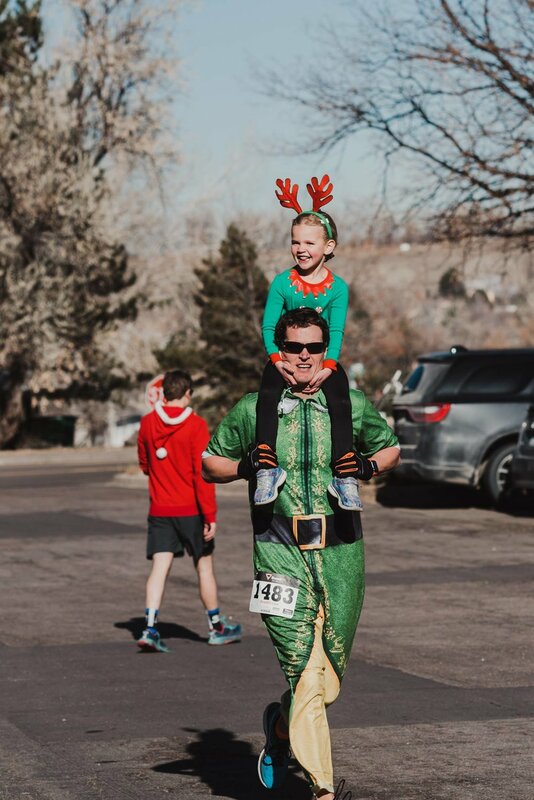 Cost: $35 includes run entry, seasonal Breckenridge brew, fun coaster, Colorado beer buff, ugly sweater party + contest and more fun giveaways from our sponsors. Have friends and family who want to join in on the fun and support a great cause but hate to run? Tell them about our Fundraiser party pass! Finish to your favorite holiday jams, seasonal brews, delicious food and our ugly sweater contest! Separate tickets available just for the fundraising party too (for your non-runner friends). Stick around for a holiday brunch in the main restaurant. Reservation info below. Breckenridge Brewery is the 3rd oldest craft brewery in the state. Opening its doors in the mountain town of Breckenridge, with its new home in Littleton, just 20 minutes south of Denver. Located on the South Platte River Trail, with beautiful views of the Rocky Mountains, as well as delicious food and cold #breckbrews. Come enjoy a #Avalanche with us! What tastes better on a chilly winter day than a nice seasonal Christmas Ale? More about the Breckenridge holiday brew lineup coming soon! Dress to impress for our post run Ugly Sweater contest! We start and finish at the brewery and run along the beautiful Platte River trail. This course is an out and back with a water station at the turnaround point. ----> For this brew run every participant gets: Breckenridge brew of choice, fun coaster, Colorado Beer buff and giveaways from our sponsors! ----> Dogs ARE allowed on the course and on the outside brewery patio but NOT in the bar due to the scale of this event. HelloFresh will be at the event! Check out their fresh meal plans straight from the farm. They make healthy meal planning and cooking easy and fun!